Pets are living longer than ever before. As more pets live longer lives, we are seeing more cases of cancer. It is devastating to learn that your pet has cancer. 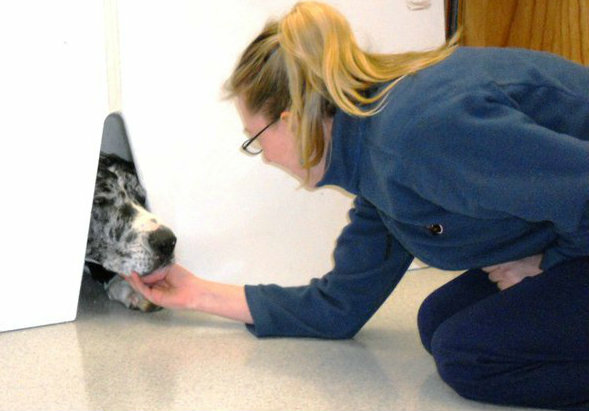 However there are treatment options, and the team at Veazie Veterinary Clinic is here to help guide you through this difficult time. Many types of cancer can be treated, or the quality of life improved, with chemotherapy and other treatments. The decision whether or not to go forward with cancer treatments can be a difficult one and is one made by the owners with support from doctors. Dr. Julie Keene can consult with you about different approaches to cancer management, and give you information about the best course of treatment for your pet. Comprehensive cancer care can involve staging of the cancer, removal of the primary tumor, and chemotherapy treatments, as well as addressing pain control, nutrition, and overall health and wellness concerns. Lymphoma: A name given to a group of cancers arising from the malignant transformation of lymphocytes (a type of white blood cell). Osteosarcoma: Osteosarcoma is an aggressive cancer arising from bone. It is possible to have it develop in soft tissues, but this is rare. Hemangiosarcoma: A common, aggressive cancer that arises from transformed cells that line blood vessels. The most common form we see is within the spleen. Mast Cell Tumors: The most common form is a small mass within the skin. These masses are often very itchy. For more information on the rapidly growing field of oncology, new treatments and other resources we have compiled a list of our favorite links. 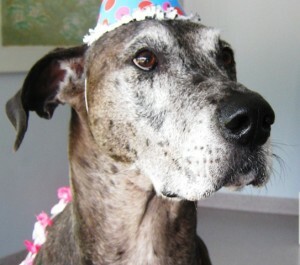 “In October of 2010, my Great Dane, Millie, was diagnosed with osteosarcoma – a bone disease that is virtually always fatal. I was told by a leading cancer vet that, because of the advanced stage of the disease, Millie had at most 2 to 4 months to live, and that during that time Millie would be in a lot of discomfort. He strongly recommended amputating the leg to alleviate the pain. Millie could not walk on the leg, was losing her appetite and seemed to be losing her will to live. I wanted to give her the best quality of life in the short time she had left. I took Millie to Veazie Veterinary Clinic in Veazie, Maine to see Dr. Julie Keene. I also brought Millie to see a holistic vet, Dr. Lee Herzig, of Full Circle Holistic Veterinary Clinic in Belfast, Maine. Working with both western and eastern medicines, Dr. Keene and Dr. Herzig turned Millie’s condition around. Millie regained the use of her leg, became playful again, and regained her appetite. We started going on short “strolls” with her sister Molly again.